outside world you might ask: How can I prevent this from happening? Aside from unplugging your smart speaker for good, there are some safeguards you can use if you're one of the 40 million people who have these voice-activated speakers from Amazon or competitors Google Home and Apple HomePod. 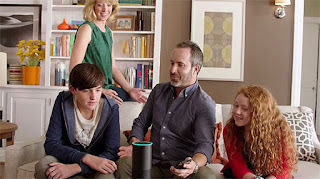 In the Portland, Ore. family case, one of the several Alexa devices they had in their home misinterpreted conversations happening in the house as a command to first record a conversation and then send it as a message to a contact on the father contact list. According to Amazon, Alexa twice asked for confirmation of the requests. 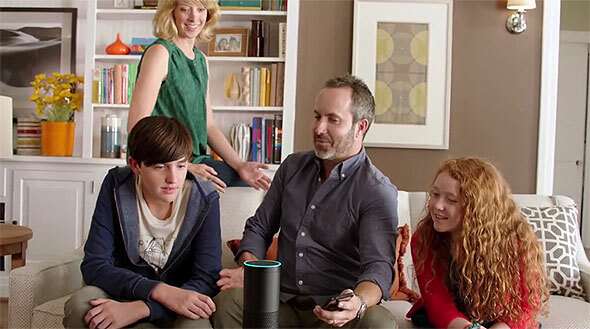 The family didn't hear the requests, perhaps because they volume was set too low, but Alexa heard the conversation and interpreted the talk as a response to the voice software's questions. Then it completed what it had determined was a request: send a message to someone on your contact list. Here's the problem: All the digital assistant and smart speaker makers including Amazon, Google, Apple and Microsoft, are working hard to make their systems ever more sensitive, ready to hear the quietest command in the nosiest room and better able to guess the meaning of our sometimes mumbled utterances. First off though, remember that while Alexa is always listening, it's not always recording. Amazon's voice recognition program is constantly listening for its "wake word," the word that tells the system to pay attention, so it doesn't record everything it hears. Only when it hears its wake word does it begin sending what you say to the cloud-computer server, where it's recorded so it can be translated into commands. Alexa also keeps a record of all the commands you've given it so that it can better learn how to answer you. You can see all the stored commands you've given it by going into your Alexa app and looking at settings and then history, where you'll see all the interactions you've had with Alexa. You can also delete this history by going to the Amazon website through the accounts and lists settings. One of the most annoying attributes of digital devices is how often they respond when you are not talking to them. Then everyone has to clam up until the digital assistant gives up and goes quiet again. This happens because the assistant either hears its wake word, or hears something it thinks was its wake word, and wakes up. In Alexa's case, there are four possible wake words Alexa, Echo, Amazon or Computer. You can test to see which one results in fewer inadvertent Alexa wake-ups in your household. Which one that is will depend on what sorts of things you tend to talk about around the house. You might not want to use "Computer" if you work in a computer repair shop, for example. This is one of those double-edged sword problems. Many people turn down the volume on their Echos because they don't want to bother others in the household. This can mean that if Alexa says something to confirm a question you might not hear it, especially if you're not close to the speaker. Though it's not clear that's what happened in the Portland family's case. However the mother of the Portland family, who reported the incident to KIRO 7 television, said in a follow-up interview that the Echo that shared her conversation was very close to her, and the volume was set to seven out of 10. She said it never requested her permission to send the audio. Many programs ask if they can access your Contacts. Your default should be, "No thank you," unless there's a strong reason for doing so. Alexas Calling and Messaging functionality allows you to call or message people in your Contact list who also use Alexa Calling and Messaging. That makes it easy to say, Call Marionâ and have your Alexa call Marion. But it also makes it easy for Alexa to mis-hear your innocent conversation about going to see the fall colors as Call Calvin. You can turn off Alexa's microphone on the Echo and Dot by pressing the microphone button. This is an actual switch and not just an electronic command, so it can't be circumvented by someone hacking into the device. On the Echo Dot and Look, you can also turn off the cameras. Search in the Alexa FAQ on Amazon for detailed instructions. Although reports of people accidentally buying things using voice purchase on Alexa are rare, they have happened. 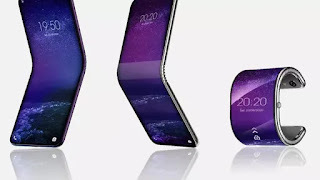 You can avoid having to make returns by either disabling Purchase by Voice or setting a PIN number so that only by saying the number can something be purchased. Both can be accessed in the Settings and then Voice Purchasing portion of the Alexa app. One function on Alexa that can be fun is the ability to drop in on a permitted contact's device and hear (and see, with a Show or Dot) the person on the other end. It's great for friends and grandparents but a little daunting from a privacy perspective. The system does give warning that someone's trying to drop in, and you can decline the visit. But if you're rather they just didn't come knocking, you can set the Drop In feature so that it only allows permitted contacts, only people in your household or no one at all to drop in. To set that, go into your Amazon app, click on the specific device you want to set and scroll down to Communications, then set the toggle to the level of availability you want.